On a recent visit to New York City I was thrilled to finally be able to stop and visit the United Nations. Although I have been to New York many times in my life I never had the time to visit. After passing through security I was taken on a tour by a brilliant yet soft spoken young Japanese man and learned many things about the history of the U.N. I highly recommend taking the tour when you’re in The World’s City as they call it. 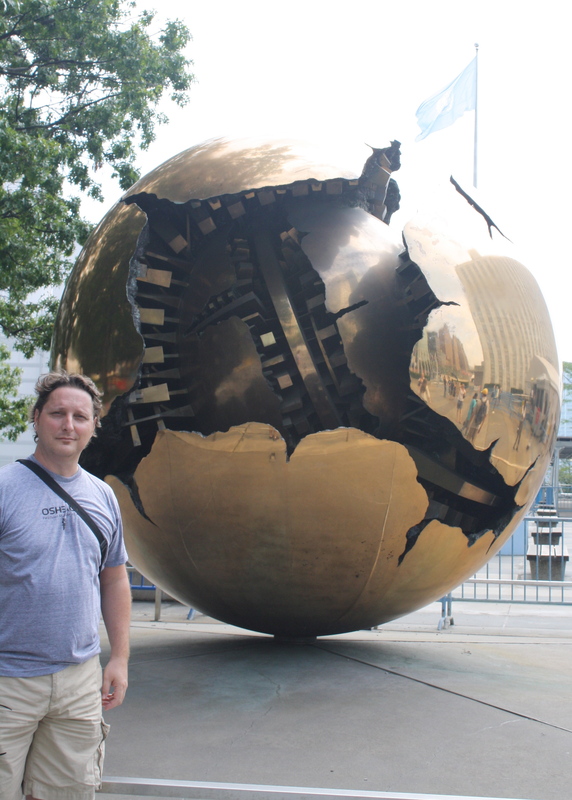 After the indoor tour I made my way outside to the North west corner of the U.N. plaza to see for myself, upclose and in person the sculpture which sits there called Sfera con sfera or Sphere within a Sphere. I had been anticipating this for quite some time. 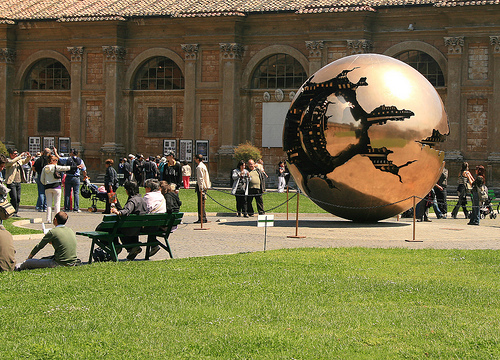 The sculpture was created by an Italian named Arnaldo Pomodoro who lives and works in Milan. 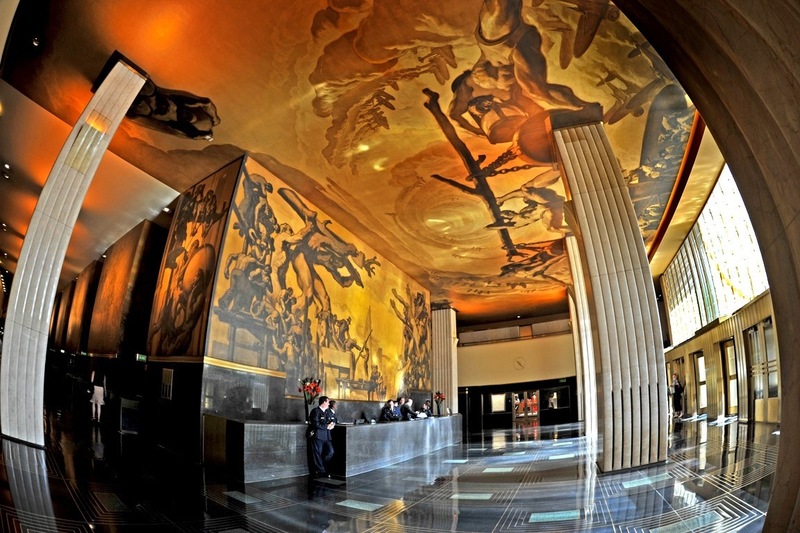 It was presented as a gift to the United Nations by Lamberto Dini, Minister for Foreign Affairs of Italy and unveiled on November 21, 1996 in New York City. So what’s the connection between the Vatican and The United Nations? And what’s the message of this sphere with in a sphere sculpture? I’ve dubbed it The World within a World sculpture because I believe that we live in 2 worlds. The first is the one that we perceive as being real with our daily struggles and concerns, errands to run, problems to fix. The second is the true world with it’s infinite beauty and simplicity. The second world is hidden from us by the first world, perhaps on purpose. Our struggle as human beings is to be able to see through the illusion of the first (material) world and discover this inner world of peace…of becoming illuminated. Are these spheres placed where they are to give us a clue to what lies within? Will the “lifting of the veil” described in the book of Revelations in the Bible be our discovery of this “world within the world”? 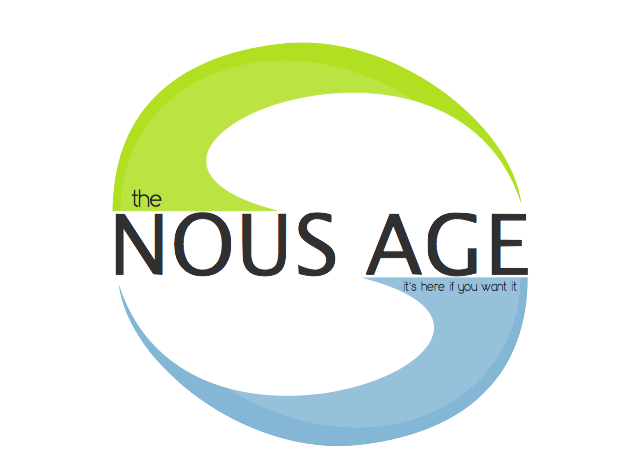 Welcome to The Nous Age!